In the mid 1950s onward, as kids, Sandra, Keith, Jenny and myself, many of our summer holidays were spent camping in Brighton at the Sheepcote Valley camp site. 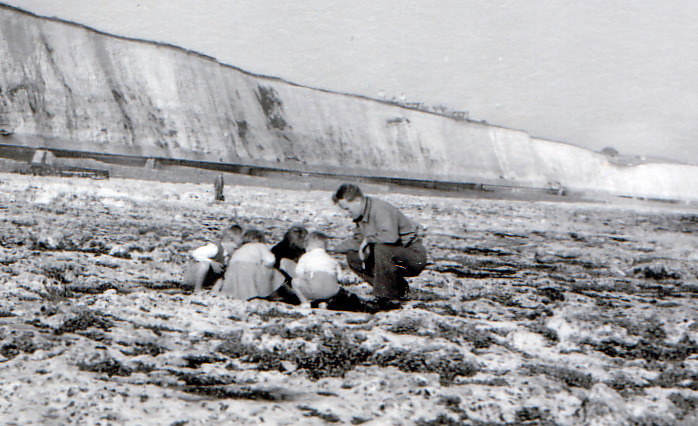 Our father, Nigel Custance grew up in Brighton as a child, but after his naval service through the war, ended up settling in Gravesend until 1960, when we moved to Baxter Street in Brighton. Our Brighton camping holidays were often the highlight of the year for us as kids. We would walk down to the beach from the campsite – passing along Riflebutt Road and picking up fresh bread from the bakery on the way back. We spent our time swimming, prawning and fossicking around the rock pools at Black Rock that were endlessly fascinating. 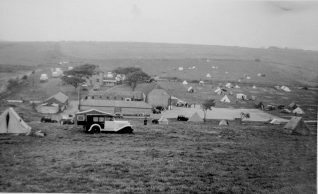 Camping was great fun, there were sometimes singalongs held at the old barn on the camp site, and I remember watching the harvesting machines at work in the surrounding fields. I do remember there was an old late 1920s Rolls Royce parked in a shed in one of the fields we used to pass on the way to the beach and I was always disappointed Dad would not let me go over and explore it -wish I had it now.We all loved moving to Brighton in the 60s, it was a great place and time to grow up in, and although I moved to Australia in the early 1970s, Brighton is still ‘home’ deep in my bones. Great story and photos, many thanks for sharing Clive. 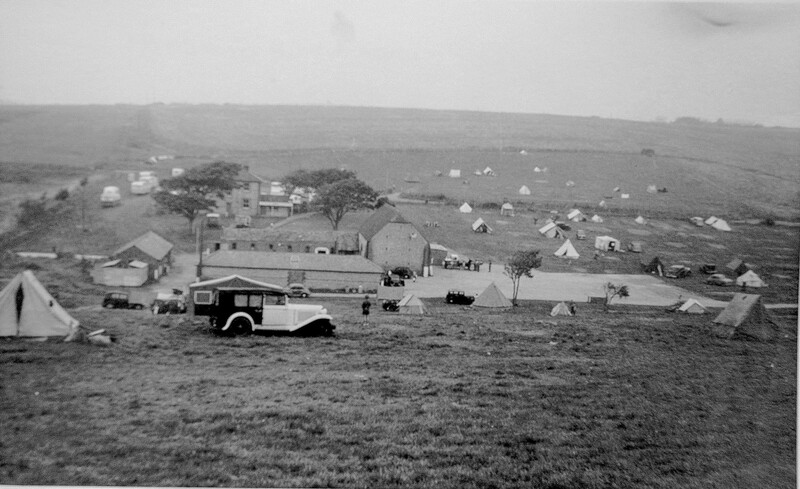 As a kid in the 40s and 50s I lived just across the way from the camping ground and remember it as in the photos. I have always loved the way of camping and also caravaning. 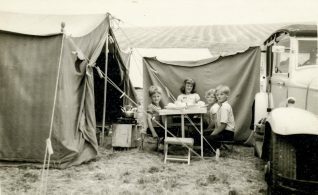 The photos show how basic life was as a camper, but how relaxed and just hours of fun it was, busy all the time doing the chores first, then exploring and all the rest of it. Pack everything into the car and off we go, so wonderful for the kids as well as the family. Wish I were back there again doing what they are doing. Loved reading these memories of camping at Sheepcote Valley. As youngsters, my brother and I loved our tent, the smell of bacon and eggs wafting everywhere, the antiseptic smell of the shower block, wandering amongst the caravans further up that belonged to the posh people. The freedom as children to just wander about. The setting in the valley was lovely, and I remember watching people on horses riding up on the high hill. Trips to the beach, and a special visit to the Madame Tussauds museum opposite the Pier. We took a look at Sheepcote a few years ago, nothing left, but I have my memories. Looks like a 1920s Bentley shooting brake in the photos. Did this one survive when the MoT came in? The waxworks on the front near Pool Valley was Louis Tussauds. I remember the man swinging the chopper in the window, which was there for years.